With the Home Buyer’s Plan (HBP), you can withdraw up to $25,000 from your registered retirement savings plan (RRSP) to pay for your new home, as long as it’s where you plan to live most of the time. Keep in mind, the amount you withdraw must be repaid back into your RRSP. Note: If spouses and/or common-law partners are planning to purchase their first home together, each person can withdraw up to $25,000 for a total of $50,000 from their own RRSPs. Repayments must then be made to each person's RRSP, respectively. You’ll need to start your repayments the second year after the year you withdrew the money from your RRSP. This means if you used the HBP to help you buy or build a home in 2017, you won’t need to start paying back what you borrowed until 2019. You have up to 15 years to repay what you owe, and you’ll need to pay back at least 1/15 of the total amount you’ve withdrawn per year. If you don’t, you’ll need to include the rest in your annual income. 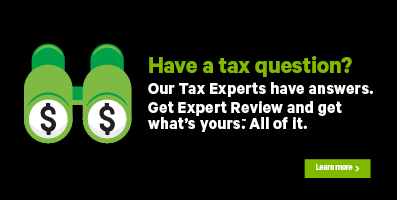 How do I enter a larger than required repayment amount in H&R Block’s tax software? Even though the CRA requires that you repay the amount you withdrew under the HBP within 15 years, it doesn’t mean you cannot pay more than the minimum amount each year. For example, let’s say you contributed $5,000 to your RRSP in 2017 and, according to your NOA, you’re required to repay $1,500 under the HBP. You can choose to designate any amount between $1,500 and $5,000 as your repayment amount. While making a larger repayment won’t reduce the number of years you’ll need to make repayments, it will reduce the amount that you’ll be required to repay for each remaining year. Can I choose to make an early repayment under the HBP? You sure can! As mentioned above, you’re required to begin making repayments in the second year after the year you made a withdrawal from your RRSP. If you choose to designate a repayment amount the year after you withdrew the funds instead, your NOA won’t indicate how much you’re required to pay back (because your repayment period technically hasn’t started yet). Let’s say you withdrew $25,000 from your RRSP in 2016 to purchase your first home. Technically, you won’t have to start repaying this amount until 2018. If, however, you contributed $5,000 to your RRSP in 2017, you can choose to designate some or all of your contribution as a repayment under the HBP. Did you know? If you or your spouse or common-law partner have owned a house before, you might still be considered a first-time home buyer. As a rule, you can only participate in the Home Buyers’ Plan every four years – so even if you aren’t considered to be a first-time home buyer today, you might be considered one once a period of four years has passed since you sold your last home. For example, if you sold your home in 2012, you might be able to participate in the Home Buyers’ Plan again in 2017. Sometimes, things don’t always go as planned. For example, you may have withdrawn funds from your RRSP to be used under the Home Buyers’ Plan only to have the purchase of your home fall through. If that’s the case (and you didn’t actually end up using the amounts withdrawn from your RRSP to buy or build a home), you’ll need to include the withdrawn amounts in your income for 2017. If the above situation applies to you, and you don’t plan on buying (or building) a replacement property by October 1st of the year following the year you made your withdrawal, you can cancel your participation in the HBP – if you choose this option and repay the amount you withdrew under the HBP, your withdrawal won’t be taxed. Any portion of the withdrawn amount that isn’t repaid will need to be included with your income for the year. Note: The amount withdrawn from your RRSP to be used under the HBP can be found in box 27 of your T4RSP slip. Type Home Buyer’s Plan (HBP) repayment amount in the search field and either click the highlighted selection or press Enter to continue. When you arrive at the page for your RRSP contributions and HBP or LLP repayments, under the Your Home Buyer’s Plan or Lifelong Learning Plan heading, answer Yes to the question: Have you taken money out of your RRSP to buy a home, under the Home Buyers’ Plan (HBP), and do you want or need to repay some of that amount this year?